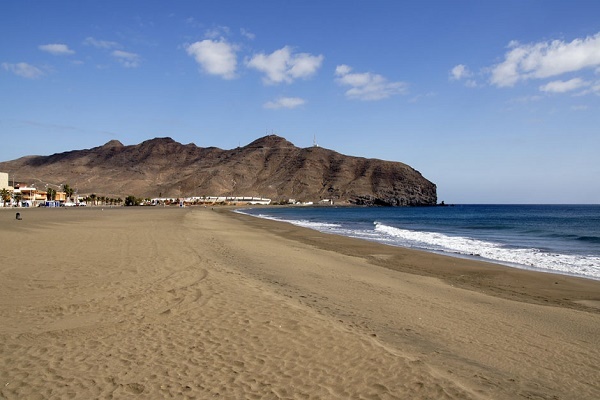 The beach of Gran Tarajal is a large bathing bay with light-coloured, fine sand. Some would also say that the sand is dark, but anyway it is fine. Gran Tarajal is not a tourist spot, you mainly find locals and expats here. If you look from the beach to the sea, you will see Gran Tarajal’s harbour on the right-hand side. How to get to the beach: To get to the beach, just drive through the little town. Parking options: There are parking spaces on the roadside and in lay-bys (partly free of charge).